Ceramics（or China） are various products obtained by pulverizing, kneading, molding and calcining natural clay and various natural minerals as main raw materials. In the past, people used ceramics to make high-temperature burning in special kiln called ceramics. Ceramics are the general term for pottery and porcelain. The traditional concept of ceramics refers to all artificial industrial products that use inorganic non-metallic minerals such as clay as raw materials. It includes various articles prepared by kneading, forming, and calcining a mixture of clay or clay. Ceramic materials are the materials with the highest stiffness and hardness in engineering materials, and their hardness is mostly above 1500 HV. Ceramics have a higher compressive strength, but lower tensile strength and poor plasticity and toughness. 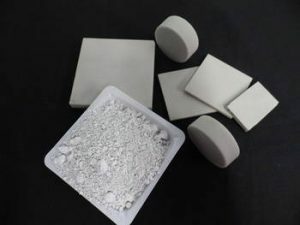 Ceramic materials generally have a high melting point (mostly above 2000 ° C) and have excellent chemical stability at high temperatures; ceramics have lower thermal conductivity than metallic materials, and ceramics are good thermal insulation materials. At the same time, the coefficient of linear expansion of ceramics is lower than that of metals. When the temperature changes, the ceramics have good dimensional stability. Most ceramics have good electrical insulation, so they are widely used to make insulation devices of various voltages (1kV~110kV). 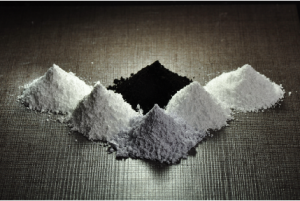 Ferroelectric ceramics (barium titanate BaTiO3) have a high dielectric constant and can be used to make capacitors. Ferroelectric ceramics can change shape and convert electrical energy into mechanical energy (with piezoelectric properties) under the action of an external electric field. Can be used as a sound amplifier, record player, ultrasonic meter, sonar, medical sonography, etc. A small number of ceramics also have the characteristics of a semiconductor and can be used as a rectifier. Ceramic materials are not easily oxidized at high temperatures and have good corrosion resistance to acids, alkalis, and salts. Pottery material: Compared with porcelain, the texture of pottery is relatively loose, the grain is also coarse, the firing temperature is generally between 900 °C and 1500 °C, the temperature is low, the color is natural and interesting after firing, and it is simple and generous, becoming many artists. One of the favorite styling performance materials. There are many kinds of pottery, such as black pottery, white pottery, red pottery, gray pottery, and yellow pottery. The pottery, gray pottery, and black pottery are made of clay with high iron content. The iron pottery is red under the oxidizing atmosphere. It is gray or black in a reducing atmosphere. Porcelain material: Compared with ceramics, the texture of porcelain is hard, fine, strictly forbidden, high temperature resistant, rich in glaze color, etc. The firing temperature is generally around 1300 °C. It is often described as “sounding, clear as a mirror, Yan Ruyu, Thin as paper, porcelain is more noble and gorgeous, and the opposite of Tao is just the opposite. Therefore, when many artists create ceramic art, they will emphasize the texture of pottery or porcelain to give the viewers a different sensory enjoyment. Therefore, it is necessary to analyze and compare the characteristics of two different materials before creation. 1. Daily cleaning can be used in household detergents. 2. Add a little ammonia water to the soap or use a mixture of the same amount of linseed and turpentine to make the stain more strong and make the tile shinier. 3. If a strong staining liquid such as strong tea or ink is sprinkled on the brick, it should be wiped off immediately. 4. Regularly wax the polished tiles for long-lasting protection. The interval is 2-3 months. 5. If there is a little scratch on the brick surface, apply toothpaste on the scratch, and wipe it with a soft dry cloth to wipe the scratch. Why is stainless steel used for cutlery? What is plastic cutlery made of? What is silverware made out of?